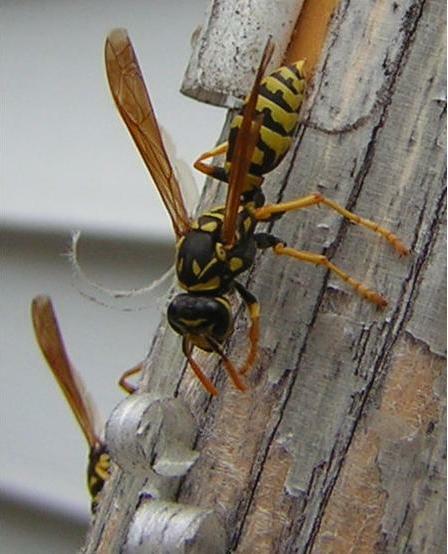 This entry was posted in Bees and Wasps, Black, Colors, Gray, Insects & Spiders, Nature, Orange, Yellow and tagged angle, animal, black, brown, bug, European paper wasp, gray, insect, orange, paper wasp, Polistes dominula, wasp, white, wood, yellow. Bookmark the permalink. i like insects a lot too. i like this shot. i find the patterns on insects fascinating – it looks like you do too. ..including the wing lining.